George Varughese founded General Rubbers, with its Midas brand of retreading materials, in 1969. 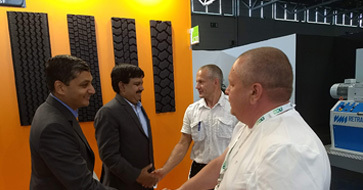 Since then Midas has been supplying Tread Rubber, Precured Tread Rubber and other retreading materials to India and the rest of the world. 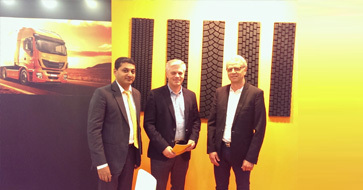 Midas is now India's most popular brand of Tyre Retreading Materials with more than 24000 tons sold every year. Besides India, Midas currently has satisfied customers all over the world from South America to Africa and from Europe to Australia. We are constantly expanding our dealer network to enable our users to have easier access and better service. 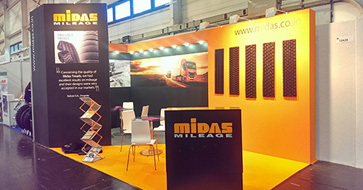 From the beginning Midas has tried to grow through innovation and R&D. Our compounds are constantly being improved with the latest technology to provide better mileage and a trouble free performance. Take a look at our testimonials section for some comments from our customers or contact us for references. Our factories and office are located around Kottayam town in Kerala, which is known as the Natural Rubber capital of India. We look forward to helping customers meet their particular needs, whether it is a faster delivery or a special compound.